The music takes you away on a gracefully unfolding, magical and soaring musical journey of daring and high wire exhilaration. These three master musicians will raise you up, then bring you all the way back home, transformed. Emotion, energy, empathy, focus, balance, connection and response, of mindful elegant dancing, always diving deeply in, Spirit Signal Strata. is a composer, innovator, guitarist, improviser, sound explorer, educator and poet. Upon his arrival in NYC, and since his 20's, he is widely considered one of the most innovative guitarists to emerge from New Yorkâ€™s avant-garde loft scene of the 70s. Michael is a pioneer of a new movement in which genres and sounds were suddenly mixed in new and inventive ways. Michael embodies the nature of a true and natural artist, perpetually cultivating new ideas and directions. Jacksonâ€™s brilliant technique on electric and acoustic, flavored with quicksilver runs, volume pedal swells and sudden shifts from crystalline melodic to fuzzy dissonance, has been name-checked as a critical influence on such 6-string greats as Bill Frisell, Vernon Reid, Brandon Ross, Elliot Sharpe and others. Spirit Signal Strata is music built around the adaptation of the guitar to contemporary sonics, grooves and extended improvisational techniques. Michael composed this music specifically with these two master musicians in mind; Kenwood and Keith are very present, and able to access deep levels of feeling and creativity with immediacy. Both can draw on the history and origins, socio-political significance, the heart and the soul to be uncovered within expanded blues forms, the rhythms of harmony and joy found inside the rich deep strata of African-American music. Michael has worked, produced and/or recorded with luminaries across the musical spectrum including Julius Hemphill, Oliver Lake, Wadada Leo Smith, Nile Rodgers, Anthony Braxton, Will Calhoun, Nels Cline, Nona Hendryx, Jack Dejohnette, Steve Winwood, David Murray, Walter Becker, Buster Williams, Carlos Santana, Marcus Miller, Henry Threadgill, Omar Hakim, Vernon Reid, and Patti LaBelle, to name a few. His recent credits as a producer include Pulitzer Prize nominee Wadada Leo Smith, for whom he produced two critically acclaimed discs. Michael taught at California Institute for the Arts, New England Conservatory of Music, Copenhagen Conservatory of Music, DK, Hampshire College, and is a guiding artist at The Creative Music Studio, Woodstock, N.Y. Currently Michael is preparing for the 10.26.2017 release of Michael Gregory Jackson "Spirit Signal Strata" with Kenwood Dennard - drums and Keith Witty - bass. Michael played guitar on Wadada Leo Smith's "Najwa" to be released 10.20.2017 on TUM Records. Also, a new Michael Gregory Jackson Clarity Quartet release is scheduled for 2018. Michael is also performing and touring with his CLARITY TRiO, featuring Rakalam Bob Moses on drums and a changing line up of bassists and with SPRIT-SIGNAL-STRATA his other major trio project featuring drummer Kenwood Dennard and bassist Keith Witty. 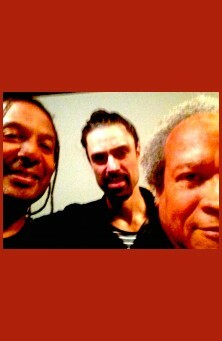 Also, Michael recorded with London based drummer Kikanju Baku and tuba player Joe Daley, the project titled â€œEndogeny and Exogamyâ€� will be released in early 2016. Kenwood is a master drummer and musician. He has been a professor at Berklee College of Music for over 15 years and is one of the founding instructors at the Drummer's Collective. His ability to inspire and share drum wisdom and technique is amazing. His performance credentials are phenomenal, having played with Dizzy Gillespie, Herbie Hancock, Wayne Shorter, Harry Bellafonte, Joe Zawinul, Sting, Jaco Pastorious, Pat Martino, Maceo Parker, Stanley Jordan, Larry Coryell, Esperanza Spaulding, Tal Wilkenfeld and many others. A native of New York City, bassist Keith Witty has straddled the worlds of Hip-Hop, popular music forms, and Jazz's Avant- Garde in his young career. In 2000, before graduating from Wesleyan University, he made his recording debut with the Anthony Braxton Quartet. Work soon followed in the bands of drummer/producer Guillermo E. Brown, which spawned the opportunity to fill in for William Parker in the David S. Ware Quartet. Keith's first engagement with Ware was the induction ceremony of Sonny Rollins and Max Roach into Jazz at Lincoln Center's Hall of Fame, with both legends in attendance. In 2007, Keith formally joined Ware's new quartet. That same year, he joined the touring band of Grammy-nominated singer and song-writer Amel Larrieux, with whom he has toured extensively and contributed to her â€œLovely Standardsâ€� (2008) and â€œIce Cream Everydayâ€� (2013) records. In 2010, Keith joined the band of acclaimed East African vocalist Somi, with whom he has played concerts throughout the United States, Europe, the Middle East and Africa, partaking in the album, "Live at the Jazz Standard". Most recently, Keith produced and performed on Somiâ€™s major label debut, â€œLagos Music Salonâ€�, released in August 2014 on Sony/Okeh Records. Simultaneously, Keith has collaborated with some of the most innovative musicians of Jazz's upcoming generation, playing in bands led by Matana Roberts, Taylor Ho Bynum, Pyeng Threadgill, and others.